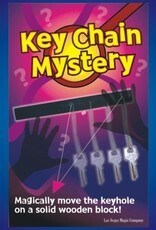 A key is on a chain hanging from a wooden bar. The chain is seen running through a hole located at one end of the bar. 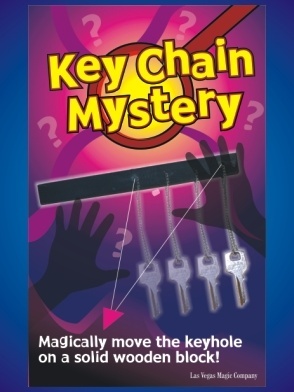 The magician pulls the chain toward the center of the wooden bar moving the hole to the center. The spectator can see the hole has really moved to the center - an impossibility! As if that is not enough, the chain and hole are moved down to the opposite end of the bar!